A 0.246 kg puck, initially at rest on a horizon-tal, frictionless surface, is struck by a 0.169 kg puck moving initially along the x axis with a speed of 2.2 m/s.After the collision, the 0.169 kg puck has a speed of 1.2 m/s at an angle of 38 degrees to the positive x axis. 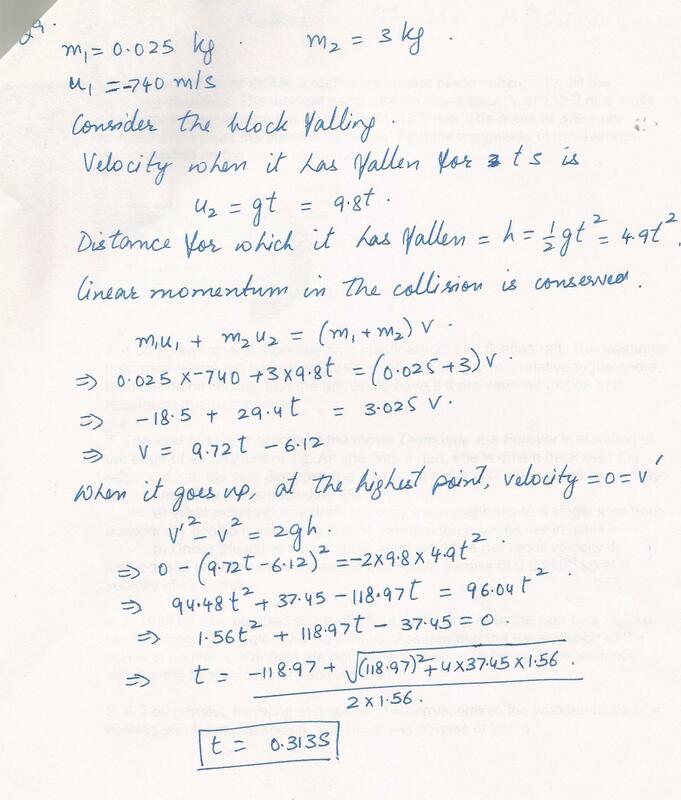 Determine the velocity of the 0.246 kg puck after the collision. 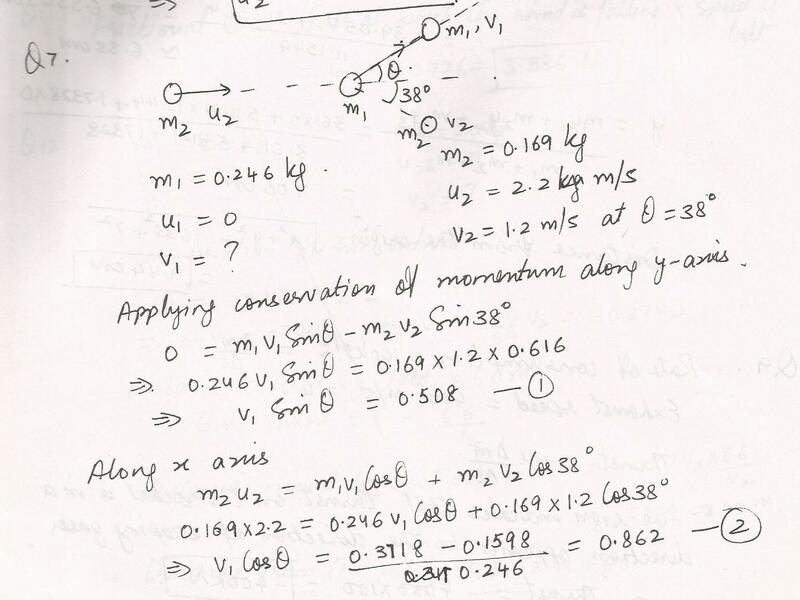 Answer in units of m/s. 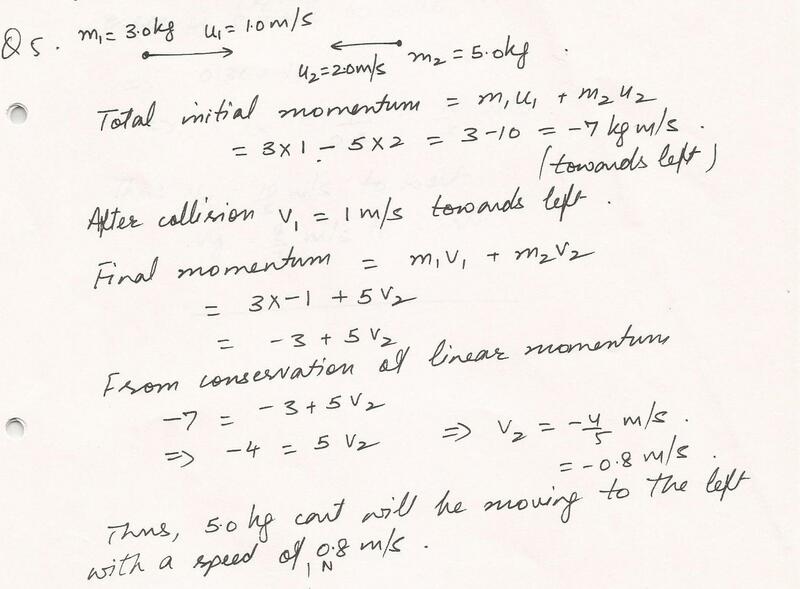 A 2123 kg car moving east at 10.64 m/s col-lides with a 3204 kg car moving north. The cars stick together and move as a unit after the collision, at an angle of 38.1 degrees north of east and at a speed of 5.39 m/s.What was the speed of the 3204 kg car before the collision? 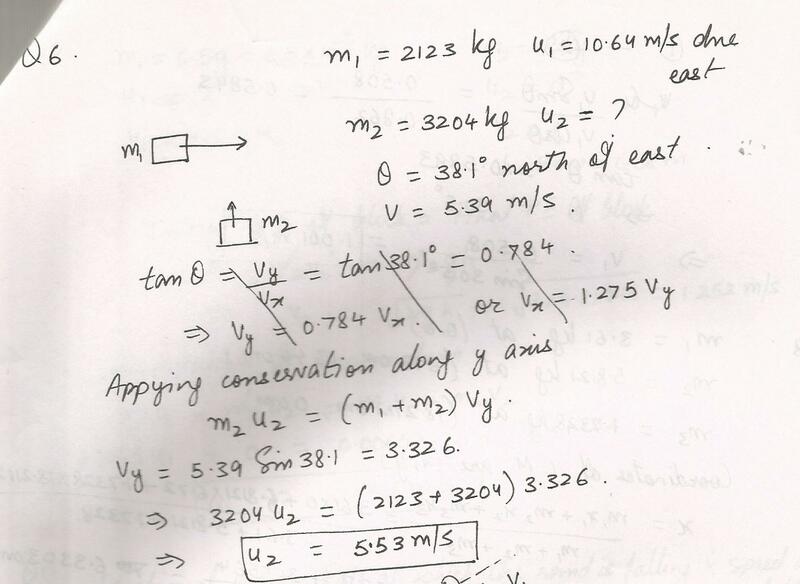 Answer in units of m/s. A. 0.025 kg bullet is fired straight up at a falling wooden block that has a mass of 3.0 kg. The bullet has a speed of 740 m/s when it strikes the block. The block originally was dropped from rest from the top of a building and had been falling for a time t when the collision with the bullet occured. As a result of the collision, the block (with the bullet in it) reverses direction, rises, and comes to a momentary halt at the top of the building. Find the time t.
Consider the two moving boxcars in Example 5.Car1 has a mass of m1=65 x103 kg and moves at a velocity of v01=+0.85 m/s. 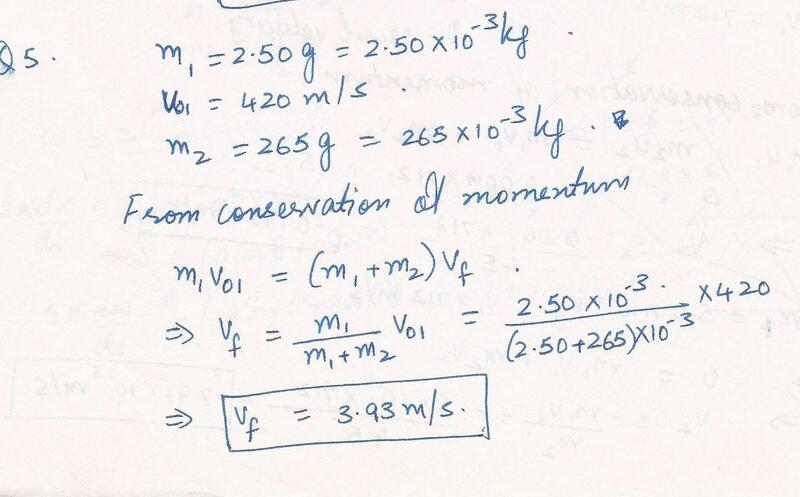 Car 2, with a mass of m2=92 x103 kg and a velocity of v02=+1.4 m/s, overtakes car 1 and couples to it.Neglect the effects of friction in your answer. c) Should your answer in part (b) be less than, greater than , or equal to the common velocity vf of the two coupled cars after the collion?Explain. 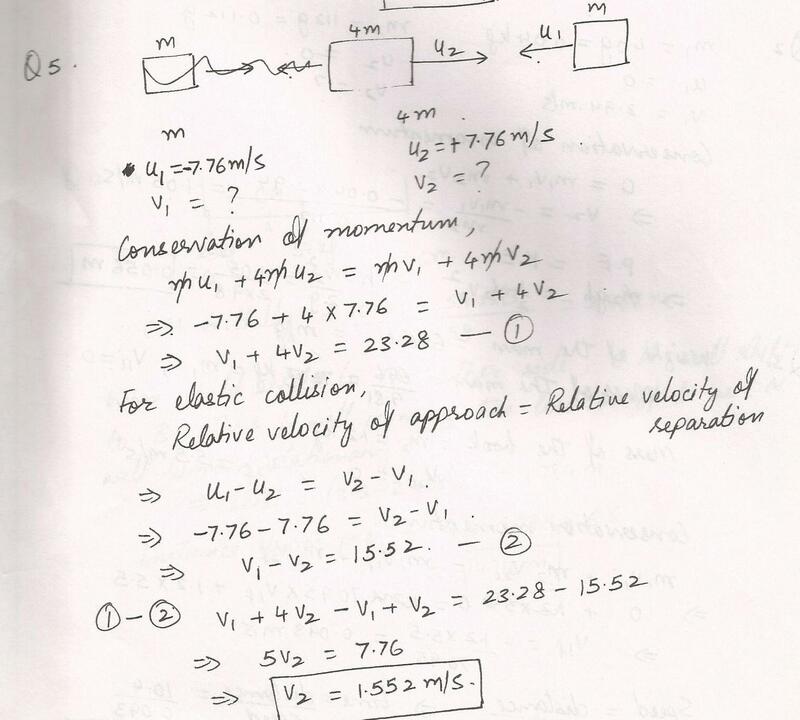 The drawing shows a collison between two pucks on an air-hockey table.Puck A has a mass of 0.032 kg and is moving along the x axis with a velocity of +5.5 m/s.It makes a collision with puck B, which has a mass of 0.052 kg and is initially at rest. The collision is not head-on.After the collision, the two pucks fly apart with the angles shown in the drawing. a) Find the final speed of puck A.
b) Find the final speed of puck B. A 2.50 g bullet, traveling at a speed of 420 m/s, strikes the wooden block of a ballistic pendulum, as shown. The block has a mass of 265 g.
a) Find the speed of the bullet/block combination immediately after the collision. 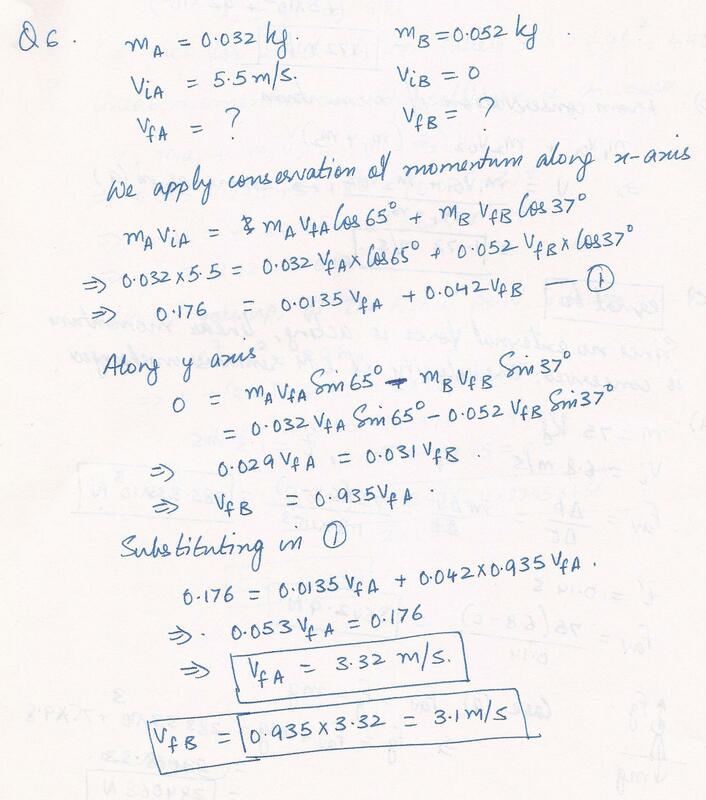 b) How high does the combination rise above its initial position? The lead female character in the movie Diamonds Are Forever is standing at the edge of an offshore oil rig. As she fires a gun, she is driven back over the edge and into the sea. 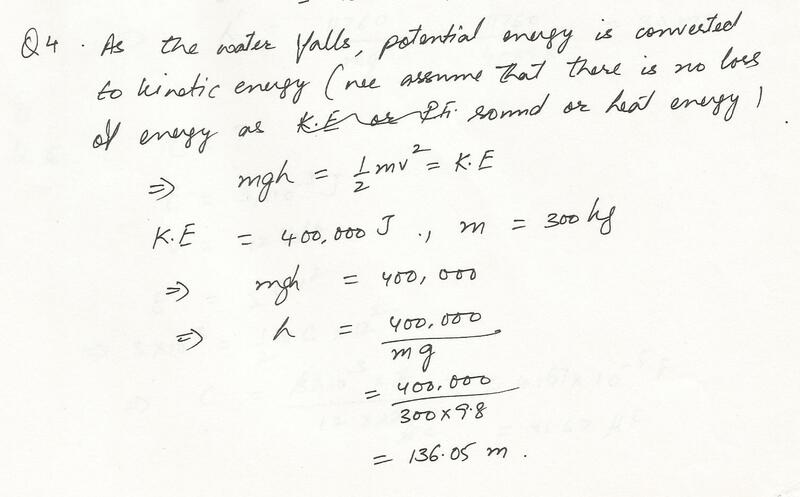 Suppose the mass of a bullet is 0.009 kg, and its velocity is +712 m/s. Her mass (including the gun) is 45 kg. a) What recoil velocity does she acquire in response to a single shot from a stationary position, assuming that no external force keeps her in place? 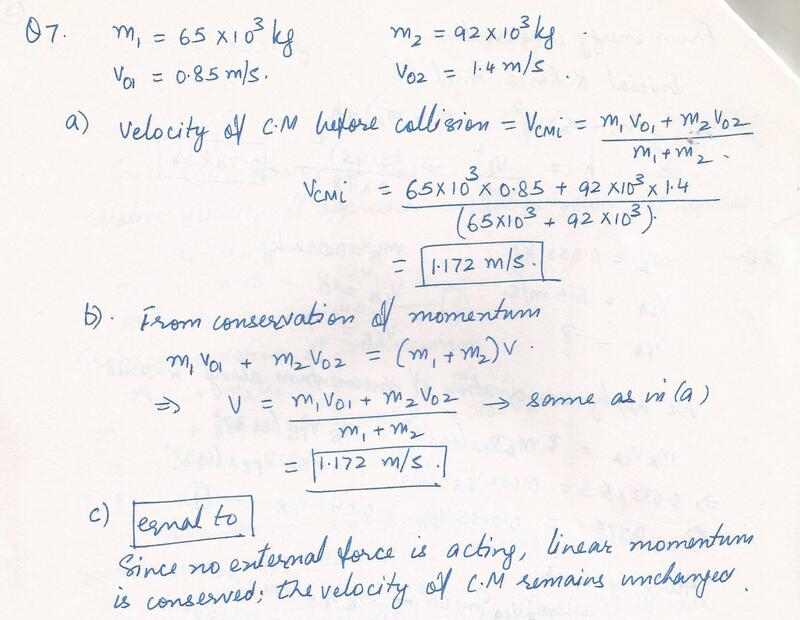 b) Under the same assumption,what would be her recoil velocity if, instead, she shoots a blank cartridge that ejects a mass of 5.0x 10-4 kg at a velocity of +712 m/s? A 55 kg swimmer is standing on a stationary 230 kg floating raft. The swimmer then runs off the raft horizontally with a velocity of +5.2 m/s relative to the shore.Find the recoil velocity that the raft would have if there were no friction and resistance due to the water. A 40 kg mass rests on one end of a teeter-totter. A 300 kg mass is dropped from a height of 10 meters and strikes the other end of the teeter-totter. 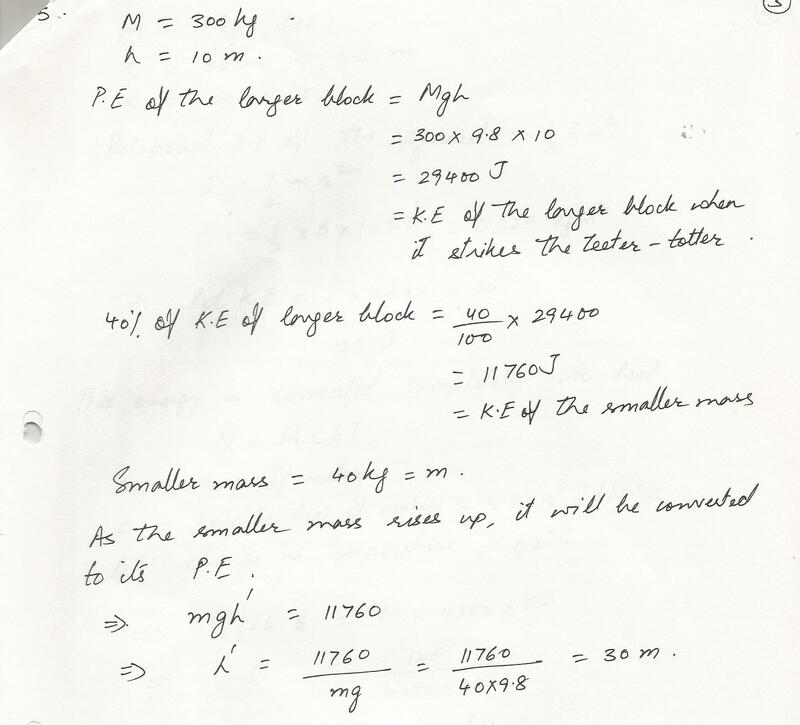 If 40% of the larger block,s energy is transferred via the teeter-totter to the small mass, what is the height to which the small mass rises? How high is a waterfall if 300 kg of water acquires a kinetic energy of 400,000 joules by falling from the top of the waterfall to the ground? An automobile weighing 2800 Ibs. is traveling 55MPH. 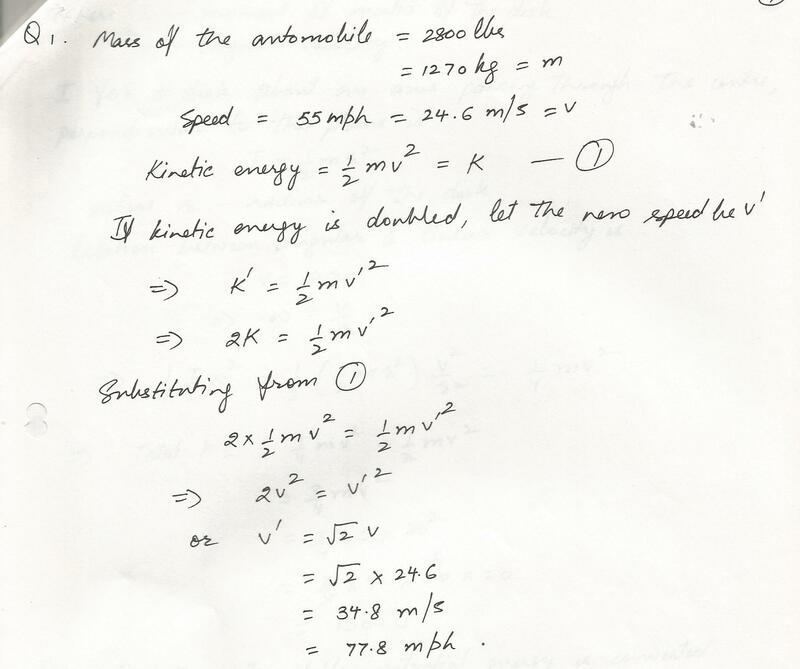 What is the kinetic energy and what would be the speed of the atomobile if the kinetic energy were doubled? 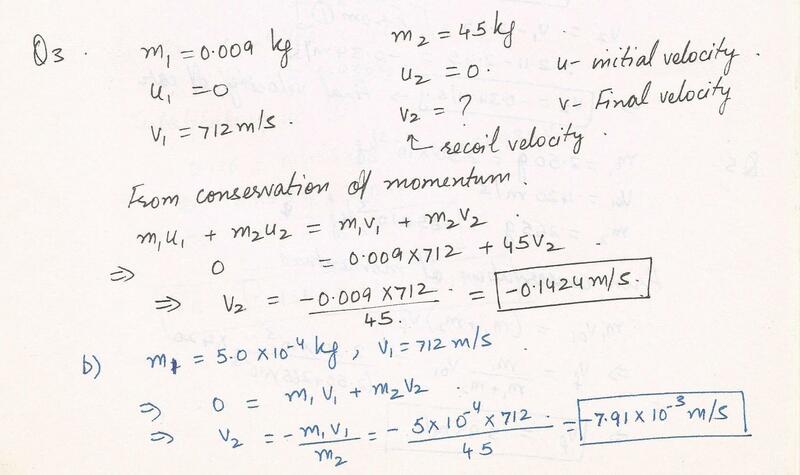 A 3.0-kg cart moving to the right with a speed of 1.0 m/s has a head on collision with a 5.0-kg cart that is initially moving to the left with a speed of 2 m/s.After the collision, 3.0-kg cart is moving to the with a speed of 1 m/s. What is the final velocitty of the 5.0-kg cart? Displaying 16-30 of 599 results.